While there may be no rush to see the Eiffel Tower or the Sydney Opera House, Machu Picchu is one of those places that one should see now while so much of it is still accessible. Conservationists are growing increasingly concerned about the damaging effects of climate change on Machu Picchu. Recent weather patterns in the area have lurched from drought to heavy rains threatening the unique citadel, which was built around 1450 for Inca Emperor Pacacuti. “Machu Picchu normally gets about two meters of rain in the rainy season,” said Marcos Paster, a protected areas advisor for the Peruvian government, “We’re talking about precipitation of two meters which is already a lot, imagine if this is doubled or tripled? Everything would get soaked and everything would get destroyed.” The area is Peru’s most popular tourist attraction and one of the New Seven Wonders of the World. During the floods of 2010, heavy rains triggered mudslides, which swept away infrastructure, and the Peruvian military had to evacuate 4,000 people. Ironically, it may have been climate change that brought about the building of Machu Picchu in the first place. New research has revealed that a prolonged period of warm weather between 1100 and 1533 cleared large areas of mountain land to be used for farming, helping the Incas to spread their influence from Colombia to the central plains of Chile. The tree line moving higher up the mountains helped the Incas to carve terraces into the mountainside to grow potatoes and corn and developed a system of canals to irrigate the land. The climate remained dry, but melting glacial ice provided a constant supply of water, resulting in a surplus of crops to feed the population. The men freed up from agricultural duties were then able to focus on other activities, among them constructing roads and buildings such as the Incas’ 3,250-mile Royal Road through the highlands, the 2,520-mile Coastal Road, and Machu Picchu. Zoom Vacations has been offering tours to Peru for over 10 years and every year we visit, there are added restrictions to what we can see and access at Machu Picchu. Much of this has been set in place for safety, but mostly it is to prevent the wear and tear associated with so many people now visiting a site built for much fewer. Areas we explored on foot during our first visit can now only be viewed from a distance, and there is talk of further limitations. Still, Machu Picchu remains an incredible archaeological site, and truly one of the best in the world. 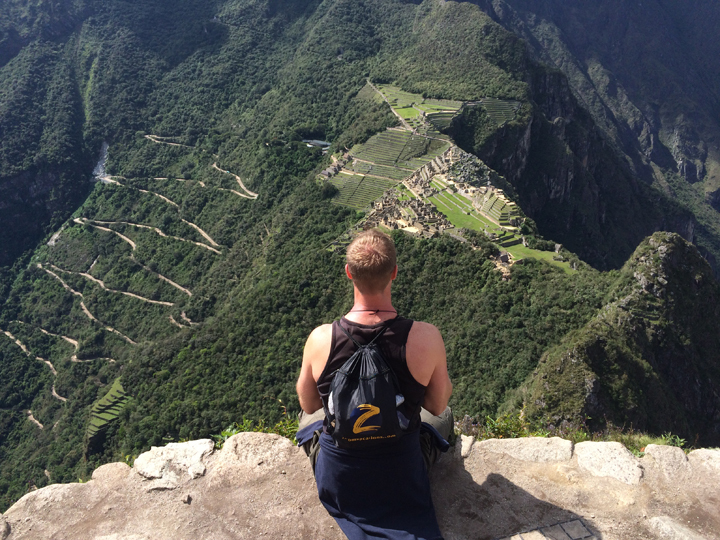 No one ever visits Machu Picchu and says, “Oh, is that all?” It is truly a place that astounds and inspires.